Naspers chairman on Friday pushed back against investors urging a break-up of the South African e-commerce and pay-TV giant, saying the move lacked long-term commercial merit. Founded in 1915, Naspers has transformed itself from an apartheid-era newspaper publisher into a $100 billion multinational with private equity-style investments in e-commerce platforms such as auction sites, online retail and e-classifieds. But it owes much of that valuation to its 33% Tencent stake, which is worth about $132 billion, or 32% more than Naspers itself. 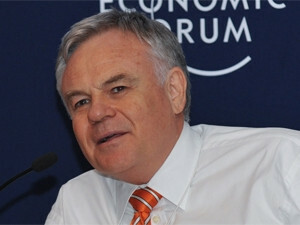 The discount has prompted some investors to urge Naspers leadership team including chairman Koos Bekker to sell the stake in order to close the discount. "We started getting that advice from the day Tencent listed in 2004," Bekker said at the company's shareholder meeting in Cape Town. "Fact is: each time our board evaluated Tencent, we concluded at that moment it's still the best use for our money. And today we see no reason yet to change." The value of Naspers' stake surged from around $231 million to around $114 billion in 2004 when Tencent floated on the Hong Kong stock exchange. Tencent is among the firms best placed to benefit from the roll out of faster 4G mobile network in China because it uses its instant messaging platform WeChat - a social media fabric in China - to sell services such as music and video streaming. Bekker, who made the $33 million bet in 2001 to take a stake in Tencent, also dismissed suggestions that Naspers should split itself up for investors to properly assess and value its pay-TV, a de facto monopoly in Africa believed to be worth around R100 billion. "If one broke up the company, you could instantly get more for the constituents," he said. "But there is strength in being one large group rather than a series of small outfits. This theoretical problem of a so-called discount need not bother the long-term investor." Naspers has spent $4 billion since 2012 to drive growth mainly in e-commerce platforms that include mobile classifieds apps Letgo and OLX - the biggest classified sites in India and Brazil - but it has little to show for its investments so far. It once again rode the breakneck rise of Tencent to lift its annual earnings by more than 40% on Friday while the e-commerce unit widened losses to $682 million.